1638-22.25 Radio Twentana Joe Jackson" is she really going out with him" And Dutch Songs Sinpo 33333. 6425-9.58 Premier Radio. Europe" Final Countdown" And Closing Down. No Reception Here Earlier Sinpo 44333. Good To Hear Premier On SW Again. 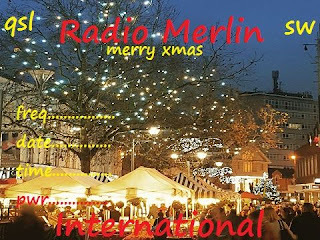 Season's Greetings from all at the Free Radio Service Holland!! Please remember our Boxing Day broadcast starting at 08:30 UTC and closing down at 14:30 UTC. The complete broadcast will be repeated between 16:30- 22:30 UTC (same freqs: 7700//9300 kHz). Enjoy the Christmas Holiday Season!! 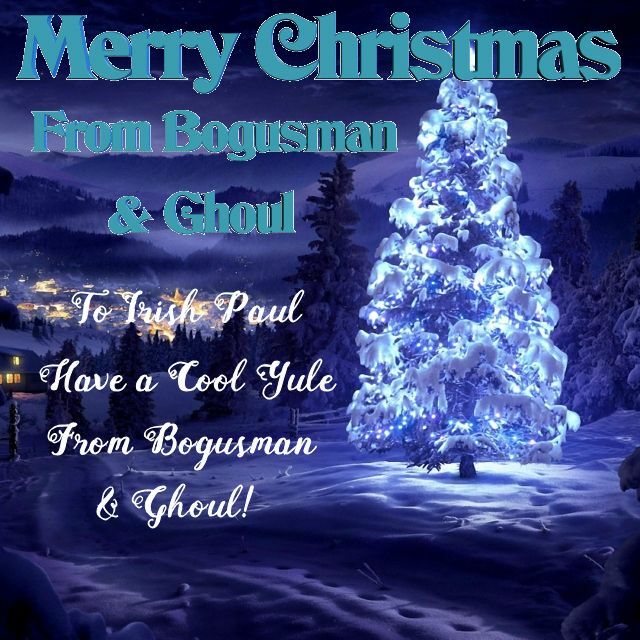 Many Thanks Bogusman And The Ghoul For The Christmas E-Qsl. 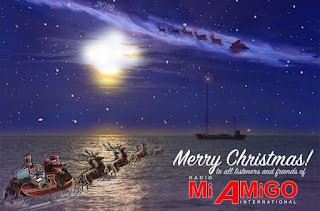 Hello listeners of Radio Mi Amigo International! This Christmas we’ll present you with 2 extra high power- Special Event broadcasts that will cover a large part of the globe! 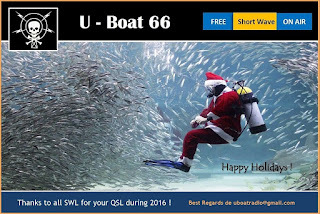 What better occasion than X-mas to celebrate the fact that in 2016 we became the fastest growing AM/Shortwave station in Europe -and possibly the world. aimed at the larger European region - including Eastern Europe and large parts of Russia and the Middle East. In the night of December 26th * a very powerful 125 kW signal from Nauen in Germany will be aimed directly at North America, but with a large overlap in other regions as well. Our special event show will be presented live from Amsterdam in the Netherlands, with contributions from all involved with Radio Mi Amigo, directly from studio's in Holland, The UK, Germany, Spain and Ecuador. We'll introduce ourselves to hopefully many new listeners, celebrate with the current ones, look back at our 2016 highlights and play some very special music. 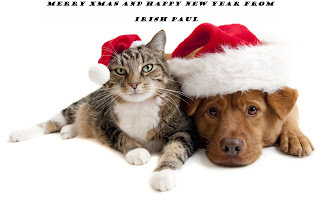 You'll get updates of our plans for next year and we'll talk DX and Shortwave. We look forward to your reception reports. 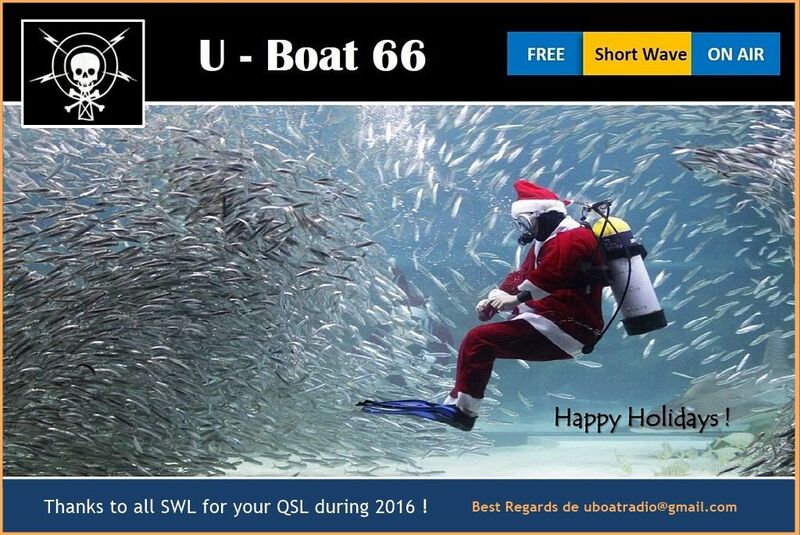 As always, we'll reward you with our colourful printed QSL card and Mi Amigo car stickers. On behalf of everyone at Radio Mi Amigo International, we wish you a Merry Christmas and a Happy New Year! On our website you will find full details about our upcoming Boxing Day broadcast. Remember your input is our output...any support is vital as we try and put a lot of efforts into our broadcasts. 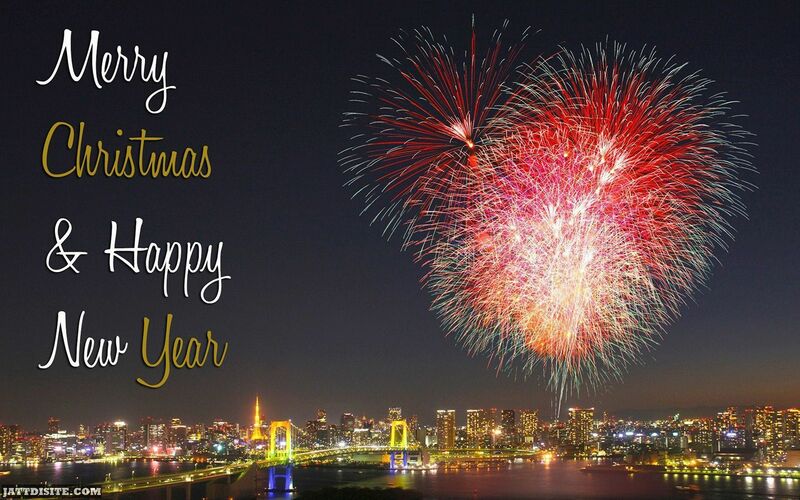 We wish you a fantastic December month.